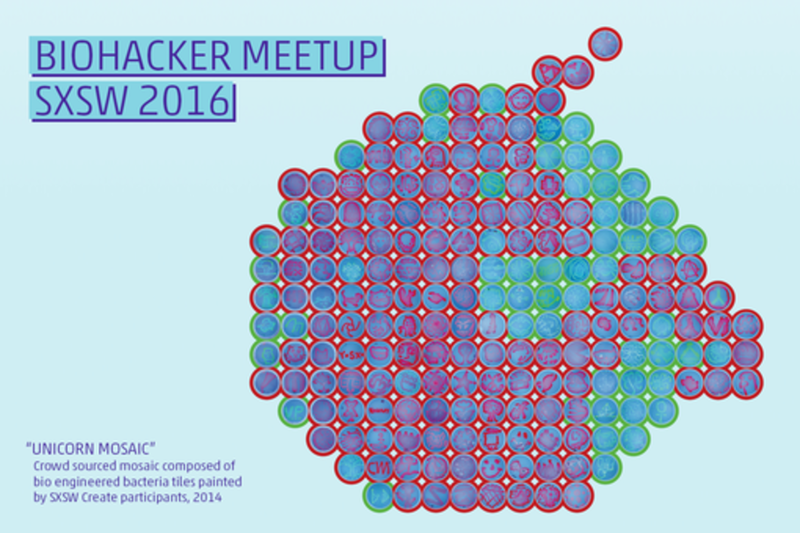 Please join us for the 3rd Biohacker meetup at SXSW. This meetup is open to all badge holders. Hackers, software engineers, artists, designers, filmmakers, musicians, entrepreneurs... anyone who is curious about biohacking. Interested in seeding collaborations with others in the space? Chatting about CRISPR? Discussing bio-security? Marveling over the possibilities of synthetic biology? Assessing ethical concerns around bio innovation? Or maybe you want to know what DIY bio is all about! From budding biologists to evolved bio engineers, all are welcome. Connect with biohackers from around the world. KAREN INGRAM is a designer, artist and creative director who uses her skill set to promote scientific awareness. Ingram recently completed visuals as a co-author of Biobuilder (O’Reilly), a synthetic biology curriculum. She is a co-organizer of Brooklyn science cabaret, The Empiricist League, and is a programming committee member of SXSW Interactive. She is an instructor on the subject of creative strategy for NYU SHERP’s Entrepreneurial Science Journalism course. Her work has appeared in many publications including titles from Die Gestalten (Berlin), Scientific American, and The FWA, where she was named a “Digital Pioneer.” As a 2015 Synthetic Biology LEAP (Leadership Excellence Accelerator Program) fellow, Karen is recognized as an emerging leader in synthetic biology.